To brand yourself or your business online and market it for money you will want to use social marketing sites, not to be confused with social networking sites. Being part of social marketing sites will allow you to be able to network with others who like to share their expertise as well, and that can build even more traffic to your website. 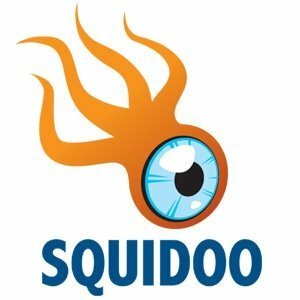 Squidoo.com is one of the best examples of this. To learn how to make the best of the ability to draw attention from Squidoo, you have to first be familiar with its features. Squidoo is made up of “lenses”. Lenses are a focal point of interest that you may be an expert on. These consist of a single web page that you can promote anything you like. It’s great if you want to promote your product or service to your viewers. You can even earn money from your lenses. Your Squidoo lens is completely yours and you can do as you wish with it. You can advertise your own products, your affiliate products, or anything else you wish to promote. There are many advantages to using Squidoo to help you brand yourself. One of them is by using the power of Google to your advantage. Google has “spiders” that crawl Squidoo and your lens may rank higher and attract more people through the search engines. Creating lenses that get lots of attention is not easy. To be considered an “expert” you don’t want to seem spammy or make your lens look too “commercial”. You want to come up with a plan that will create the traffic now and will translate to sales later. Lenses aren’t just to be used as sales pages, though many do this. They can also be used for sharing thoughts on subjects that interest you or may interest others. You can create up to ten lenses per day about whatever you like if you wish. Squidoo refers to itself as a cross between Friendster and Wikipedia. It is good to be social but just as important to be accurate and informative. Think of things that you are or would like to be known as an “expert” on. You should narrow your topic down to become your “brand”. Be sure to be clear and do your best to make it interesting. When people notice and rank your lens, it will soon be a magnet for those searching the internet. Recommended Reading: If you would like to learn how to increase your businesses visibility and brand your business in only an hour a day, read Dave Evans book Social Media Marketing: An Hour a Day . It’s a step-by-step blueprint on best practices for social media marketing. Read what others are saying about this book below. “I had been on the waiting list of Amazon.com for over 3 months waiting for this book to be released and it is exactly what I hoped for. I’m actually only 108 pages through it now as I “peeked” at all the self help guides that the author has in the appendix. I want to jump right in and get it going but Dave’s advice to take your time and learn the hows and whys is so important. I was not looking for a social commentary on social media but wanted to know the ins and out, nuts and bolts, on how to implement a successful marketable strategy and this book does it. Only this morning I actually went to the blog and sent an email to the author, Dave, and was surprised that within a few minutes he had responded . Talk about getting more than a book!! What is so engaging is the author is energetic, evangelistic in his zeal to help others, and willing to share to make this journey easier for others to follow. It’s a step by step guide for an emerging dynamic field which is affecting us now and will do so far into the future. So if you want to tap into the power of the Social Web through connected networks and consumer-oriented media, then I recommend this book as one of the tomes you seek out and read in order to build your company’s social media marketing plan. 5 stars! You can read these and all the other reviews about this fantastic book at the link above.